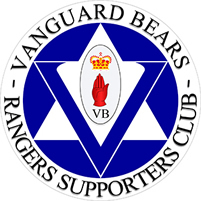 Established in 2007, Vanguard Bears are a group of Loyalist & Unionist Rangers supporters, whose aims are to ensure that the good standing and unionist tradition of THE quintessential British Club is maintained, and to support the Protestant Unionist Loyalist community in Scotland, Ulster and beyond. Our motto "Defending Our Traditions" refers to this. Our membership is wide-ranging and at present it stands at approximately 600. Applicants are rigorously evaluated and we accept only those that are considered pro-active, thus thousands of applications have been rejected. Within the membership we have hundreds of individual Shareholders & Season Ticket holders, and list among others members of established Rangers groups; e.g. NARSA Executive, RTID NI committee, RFFF committee & Rangers Supporters Association, Armed Forces personnel, Police Officers, Politicians, Lawyers & Teachers are among numerous other professional people we have within our ranks. Representation from the loyal orders is prevalent too; with the Orange Order, Apprentice Boys of Derry, Masonic Order and marching bandsmen featuring profusely. 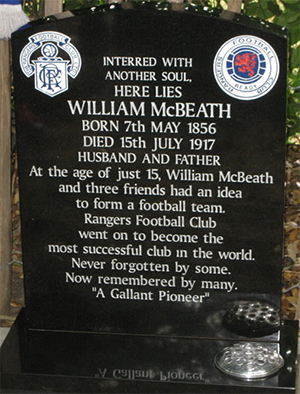 We list as one of our proudest moments the purchase of a fitting and lasting headstone - paid for by monies donated by our membership and online supporters - for one of our Club's founding members, William McBeath, who until our intervention in 2010, was resting in a pauper's grave in a Lincoln Cemetery. 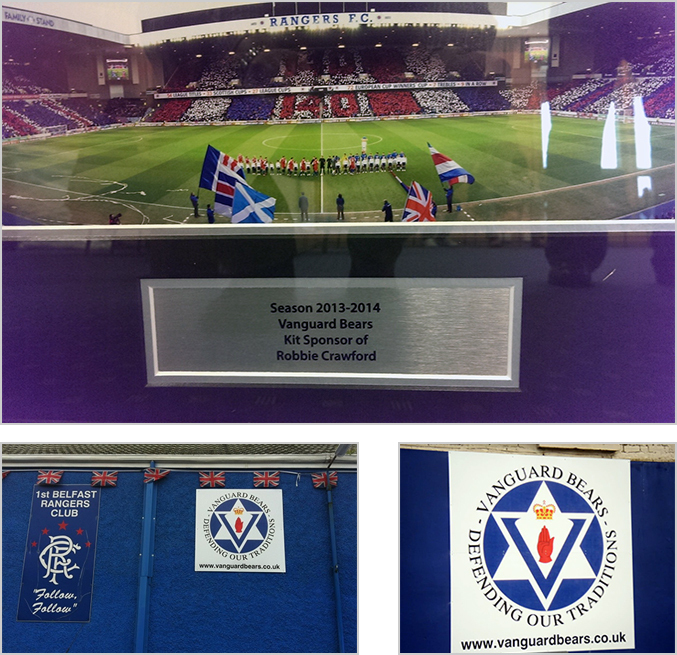 Our Rangers Supporters Club was established in 2013 and has a membership in excess of 130. We have our own Facebook Page and Twitter Accounts. As well as sponsoring first-team player Robbie Crawford in seasons 2012-13 and 2013-14, we as a collective own 50,000+ shares in the Club. We have two Murals erected in Belfast; one on the Shankill Road, and one just off Sandy Row at Barrington Street Rangers Supporters Club. Moral and financial support has been given to the loyal people of Ulster in their fight against violent Irish Republicanism – our members have also donated thousands of pounds towards the upkeep of the Twaddell Peace Camp, and to assist in the payment of severe & unwarranted fines handed out to protestors. As a proactive group, we have engaged in correspondence and meetings with a number of organisations and people; The Rangers Board, BBC Directors, Progressive Unionist Party Leaders, Maintain The Union etc, and have also engaged in a Q & A session with MP Gregory Campbell. 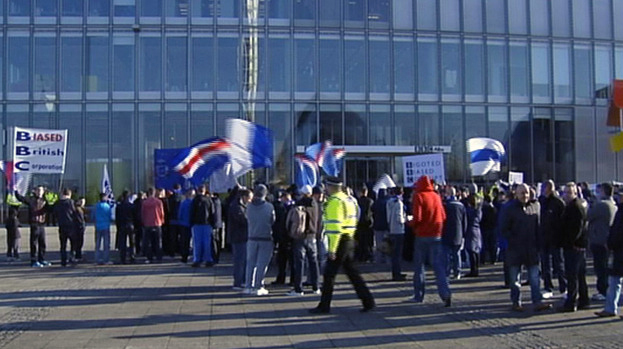 By confronting bias against our Club, we have organised three protests at BBC Scotland's HQ at Pacific Quay. We continue to write hard-hitting articles exposing those who seek and have sought to harm our club, our fans and our way of life. This is a small selection of what Vanguard Bears do and will continue to do. accompanying text, by any means, is strictly forbidden unless written permission is obtained from one of the Vanguard Bears Admin team.